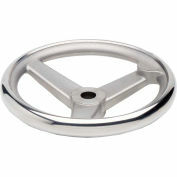 The polished wheel rim, light gray cover cap, and black plastic coated wheel body give these handwheels a very attractive appearance. 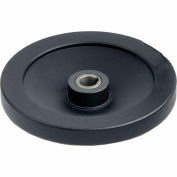 The cover cap protects the bearing from dust, while acting as a shield for the mounting components. 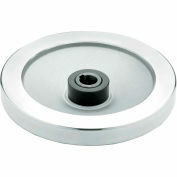 The wheel hub is fitted with an inside groove to keep the cover cap in place. 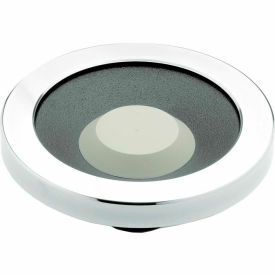 The cap is pushed into position by hand and can be removed by prying at the relieved point with a screwdriver. 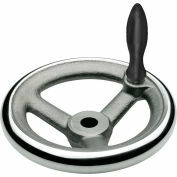 Needle bearings are greased during assembly with ample grease for permanent lubrication.